One thing nobody has pointed out about the actions of Chris Harper-Mercer before he turned the gun on himself is that he mimicked a movie that already has a history with mass shootings. I know this movie rather well, it’s one of my personal favorites. On the wiki pedia page for copycat crimes 3 of the 5 major shootings where people referenced this movie were carried out in schools. 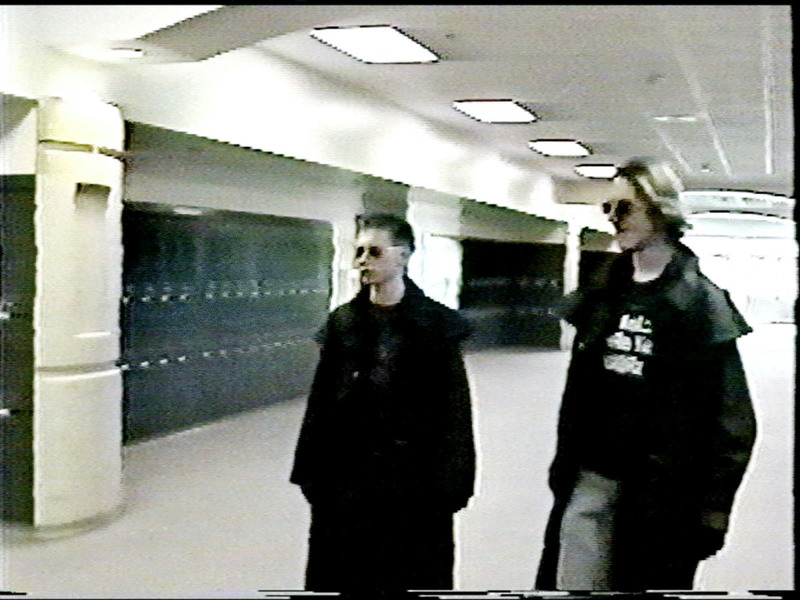 Eric Harris and Dylan Klebold used the initials from this movie when they used ‘NBK’ as their code. In Harris’s journal he wrote “When I go NBK” and he referred to the day of the shooting as “the holy April morning of NBK”. NBK stands for Natural Born Killers. On December 1, 1997 Carneal fired eight rounds in fast succession at a youth prayer group. Three girls died while hospitalized and five others were wounded. This as known as the Heath High School Shooting. The movie was listed on the lawsuit the families filed, and it also was ultimately dismissed. 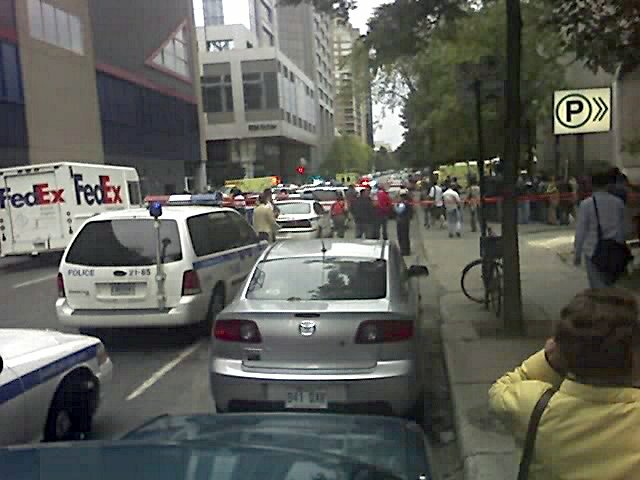 On September 13, 2006, at Dawson College in Montreal Quebec, Kimveer Gill opened fire killing one and injuring 19. 8 of his victims were listed in critical condition. He listed Natural Born Killers as his favorite movie in his blog. Oregon college gunman left behind hate-filled manifesto claiming he would die ‘friendless and a virgin’ before shooting nine dead. He handed the Satanic message to one of his victims during the rampage. As show in the two clips below, this is a reoccurring theme throughout the movie. Throughout the entire movie they always leave one person alive to tell the story. Depicts violence / murder scenes. Natural Born Killers is rated R.
During the opening scene they murder everyone inside a diner except for one person that they leave alive to tell the story. At 4:39 of the second clip you can see that “Leaving one alive” becomes such a theme that the last victim they shoot at the end of the movie mentions it before they murder him. What does this mean? If Anything? We’ve witnessed both sides of the media trying to spin this story a certain way. We uploaded a video to use as a placeholder on an article we were writing that somehow went viral and were attacked by both sides for either going too hard or too soft on the connection Mercer had to the Radical Islamist. We’ve seen others claim he was a Conservative republican and a White supremacist though he had an account on “Morgue Penpals” and was multi race. The connection to the movie Natural Born Killers is no more or no less of a connection than any connection the media is currently pushing. You don’t hear them talking about this connection though. It doesn’t match any agenda. It represents reality. Ever since the first man learned to make a fist to crush another mans skull humans have been killing humans. Natural Born Killers doesn’t kill people, and neither do guns. People Kill People. In my opinion the focus should be on detecting the unique conditions involved in some of these shootings and try to identify warning signs. This college was a gun free zone, that obviously didn’t work. Some say that makes the college a target. Why can’t there be more research into these mass shootings to identify potential warning signs. Social activities, behavioral patterns, etc. I’m sure not all mass shootings can be explained, but groups of them definitely match patterns. If common triggers can be found within these patterns maybe it could help us identify warning signs that may help us prevent these tragedies. This solution doesn’t fit any agenda though. Nobody can point their fingers at the other to say “see I told you so” so it seems that nobody is motivated to find an actual solution. All we’ll hear for the next month or so is a debate about the tool used in the tragedy, the gun. This tool is powerless without the hand that wields it. It is that hand that is the problem, humans have been killing humans since the beginning of time. Ban one tool and they’ll just find another. The proper solution would be to identify what causes a human to want to harm so many innocent people, what triggers such an event to happen. This would be far more effective than banning one of the thousands of tools out there that can be used to commit the act of mass murder. In 1995 Sarah Edmondson and Benjamin James Darras went on a shooting spree 2 days after watching this movie. In 2006 Jeremy Allan Steinke and his 12-year-old girlfriend murdered her parents, Marc and Debra Richardson, and her 8-year-old brother, Jacob, in Medicine Hat, Alberta. Steinke allegedly watched the movie the night before, and mentioned going NBK on her family. In 1994, a 14-year-old boy from Dallas, Texas, decapitated a 13-year-old classmate at a Dallas middle school. When asked why he did this, he allegedly said it was because he “wanted to be famous. Like the Natural Born Killers. In October 1994, 17-year-old Nathan Martinez from Bluffdale, Utah, shot and killed his stepmother and 10-year-old half-sister while they slept. He was apprehended three days later in O’Neill, Nebraska, following a nationwide manhunt. Martinez was allegedly obsessed with the film and claims to have seen it at least 10 times in the week prior to the murders. He had even shaved his head the way Mickey does at the end of the movie, and he had taken to wearing the same style of round sunglasses as Mickey. In January 1995, after allegedly watching the movie 19 times, a gang of four people in their twenties killed a truck driver and made their getaway in his rig. On March 5, 1995, in Senoia, Georgia, 15-year-old Jason Lewis shot and killed his parents after allegedly deciding he wanted to emulate Mickey and Mallory. Lewis was on the telephone talking to a friend discussing how he was planning to kill his mother and father and leave for the road, when he suddenly announced, “I’m going to do it.” According to the friend, as he listened on the phone, he heard Lewis shooting his parents. He grabbed his father’s 12-gauge shotgun, and shot his mother, sitting in a recliner watching television. The shot didn’t kill her, and as she screamed, he fired again, hitting his father, lying on a nearby couch. A third shot to his mother’s face killed her, and a fourth shot to his father’s forehead killed him. According to Lewis’ friend, Lewis then calmly returned to the phone and announced “I did it. It’s done.” It was subsequently discovered that Lewis was one of four young boys who planned to kill their parents, and embark on a cross country killing spree similar to that seen in the film. All four boys were arrested. During interrogation, when asked why he did it, Lewis told investigators that it was because his parents had imposed a midnight curfew on him. On January 3, 1997, New York firefighter James Halverson was running at the high school track in Centereach, New York, when William Sodders (21) shot and killed him in an act of random violence. Sodders had purchased a 9 mm pistol and he and his friend Eric Calvin, had gone to the track to practice shooting. When they got there, Sodders encountered Halverson. He went out onto the track, and bent over pretending to tie his shoelaces. As Halverson approached, Sodders stood up and shot him at point blank range. He also shot and killed Halverson’s dog. The next day, Sodder’s father, Patrick, turned him in to police, after Sodder’s girlfriend, Nicole, told Patrick that she thought William had something to do with the killing. According to Patrick Sodders, Natural Born Killers was his son’s favorite film, and he deeply admired Mickey and Mallory. According to his father, ever since seeing the film, Sodders had even begun to act like Mickey. Sodders was sentenced to life in prison. On December 23, 2004, in Jacksonville, Florida, Angus Wallen and Kara Winn, both 27, shot and killed their roommate Brandon Murphy (22) before setting him and the apartment on fire in an attempt to cover up the crime. Wallen and Winn had only recently moved in with Murphy, and had decided to steal his debit card. When he resisted, Winn shot him in his shoulder, and Wallen shot him in the head, killing him. They had allegedly watched Natural Born Killers the night before the murder, and prosecutors argued that the crime resembled a similar crime in the film where a couple kill a man, light his remains on fire, and then escape together, even though there wasn’t such a scene in the film. They were arrested the next day in Biloxi, Mississippi, and during the subsequent trial, they turned on one another, each saying the murder was the other’s idea. They were both sentenced to life in prison without the possibility of parole. On July 19, 2008, in Milwaukee, Wisconsin, Eric Tavulares strangled his girlfriend, Lauren Aljubouri, to death. Tavulares and Aljubouri, both 18, had been watching the movie, and stopped it about halfway through before going to bed. According to Tavulares, he and Aljubouri were lying in bed talking, when he “switched mentally” and began strangling her. Upon arriving at the scene, Tavulares told police “I did it, I can’t believe it. I did it.” He later claimed that he had seen Natural Born Killers between 10 and 20 times. On January 31, 2009, Tavulares (who pleaded guilty during the trial) was sentenced to a minimum of 40 years in prison. 1 Comment on "The Chris Harper-Mercer Movie Reference nobody noticed"
This is great reporting. Thank you!